I have tried my hand on Home Made Banana Bread but these muffins are just heavenly. 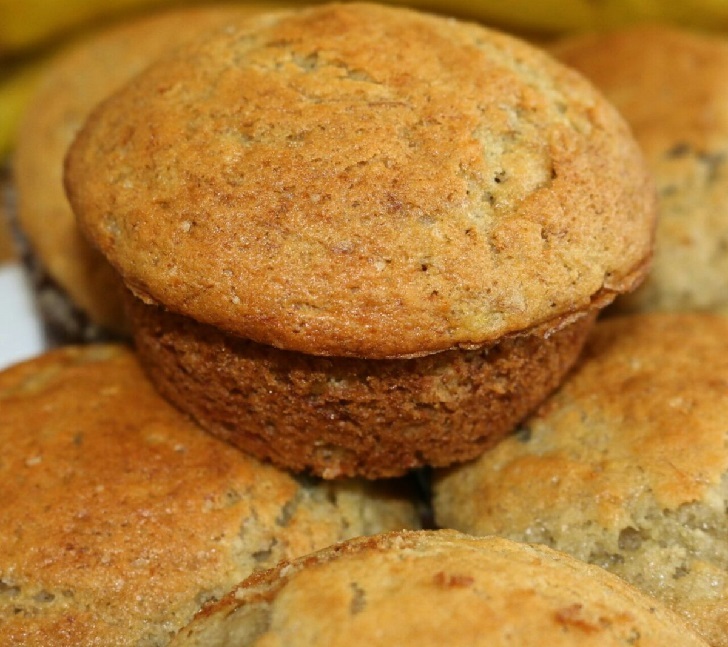 You can bring this delicious, moist and full of banana flavor muffins in just under 40 minutes. They are simple to prepare, fun and something you can involve your kids in preparing. ⏩Mix all your dry ingredients in a Bowl (Salt, sugar, baking powder, baking soda, and flour). ⏩In a separate bowl combine the remaining wet ingredients (Vanilla extract, bananas, egg, and butter). ⏩Slowly fold in your dry ingredients into your wet ingredients until consistent, do not overwork your batter, once all the dry ingredients have incorporated stop. ⏩Pour the batter into a greased muffin tray or into paper cups, I did half and half of each. ⏩Bake this in a preheated oven at 175℃ for 15 to 20 minutes, a toothpick inserted should come out clean, that’s a sign they are perfectly cooked. ⏩When done take them out of the oven and let them cool on a wire rack. ⏩This is best served warm and fresh.